When you think of living safely, you likely think of the services provided to you by your local fire and police departments. It is important to remember, though, that threats to one’s safety can come in a number of guises, even from within your home itself. If you are interested in making your home a generally safer place to live, you can enlist the assistance of the professional electricians on our staff. With our comprehensive electrical services, you can ensure that your electrical system is functioning safely, while also adding systems to your home to make it even safer than before. 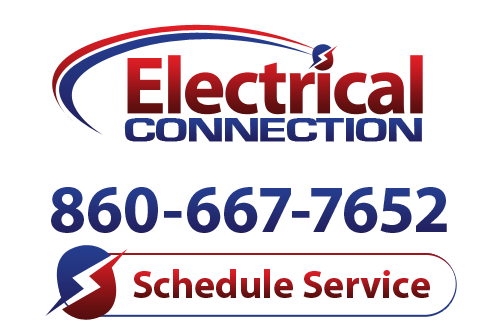 Contact a member of the Electrical Connection, Inc. team today to schedule exceptional electrical services in Central Connecticut. Service Panel Upgrades: Do you have circuits tripping frequently in your home? Is there visible damage to your service panel, or is it simply so old that you question whether or not it is able to do its job properly? All of the electricity coursing throughout your residential electrical system makes its way through this panel. This means that your service panel must be in fine working shape if you are to use electricity safely in your home. We can inspect your service panel for you, and complete a quality service panel upgrade if necessary. Smoke and Carbon Monoxide Detectors: We mentioned firefighters above, and we feel the need to stress just how important their service really is to each and every person in their communities. Ask any firefighter, and they’ll tell you that the best way to protect yourself and your family in the event of a fire is to have a reliable smoke detector in place. Smoke detectors are often the first warning that a fire has broken out and, quite simply, are life-saving devices. Additionally, make sure that you have reliable CO detectors in your home as well. This gas is odorless, colorless, tasteless and deadly. A CO detector is the only way to know if you are in danger of carbon monoxide exposure. CCTV/Video Surveillance Systems: You want to know that your home is safe and protected from intruders. A CCTV or video surveillance system gives you eyes where you need them most to protect your property and your family therein. Schedule your home security system services with our staff. We will design your system carefully to ensure that you are protected completely.